Treat yourself to one of our amazing Christmas mobile phone deals. With savings on iPhone, Samsung and more. The only place to visit for the best Christmas mobile phone deals! All the best Christmas deals. Our team of happy elves has been hard at work putting together our amazing Christmas mobile phone deals. 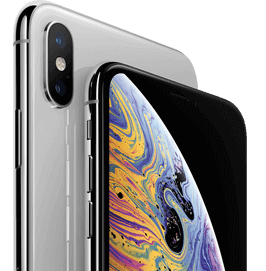 Pick from all the latest handsets, including iPhone XR, Samsung Galaxy S9 and Huawei Mate 20 Pro. With huge savings, our great selection of phone accessories, and all our buying options, why go anywhere else! Get it in time for Christmas. To get your mobile phone delivered before Christmas, make sure you order before, or on Sunday 23rd December. Providing you pass all the relevant checks and the device is in stock, you’ll receive it the following day. Did we mention, it’s free delivery too! All the best deals, right to your inbox. Sign up to our mailing list and receive our best Christmas mobile phone deals direct to your inbox. You’ll get special offers, updates and tech news too. Our emails are full of handy information, so you can get the best out of your new mobile. Add some extra protection to your new mobile phone with a premium accessory, or give the lounge some extra Christmas spirit with a new smart home speaker! Spread the cost of your brand-new phone with instalment finance this Christmas!